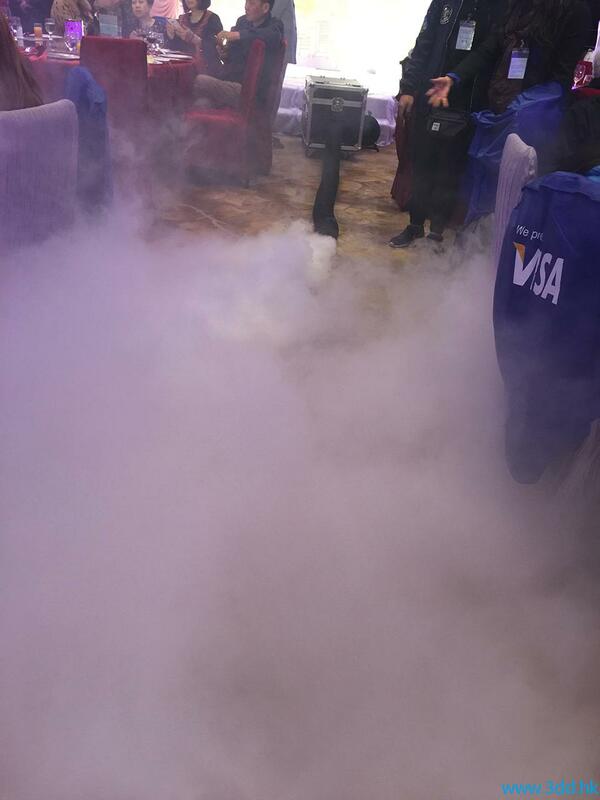 A low fog machine (similar to dry ice machines) produces a thick, opaque fog that remains close to the ground to create a ‘walking on air’ effect. Fog machines create this effect by cooling fluid to liquid particles. A low fog machine usually creates an intense burst of fog rather than a subtler diffusion, like a hazer. A low fog machine (similar to dry ice machines) produces a thick, opaque fog that remains close to the ground to create a ‘walking on air’ effect. Fog machines create this effect by cooling fluid to liquid particles. A low fog machine usually creates an intense burst of fog rather than a subtler diffusion, like a hazer. The effect of a low fogger is similar to that of a smoke machine– they are both designed to create a visual effect / impact, whereas a haze machine is designed to emphasize other effects such as lighting beams or lasers. The fog effect of the low smoke machine creates a scene of wonderland. The event scene is the best choice for making. The continuous spraying of smoke can cover an area of 1000 feet in 5 minutes. All the smoke is under the knee and it is like a fairyland scene. It’s the best scene when the main character come in.